Most homeowners prefer neutral shades when getting their home done up! They are considered safe, since they are subtle and elegant. However, they can eventually get boring too! One way to break the dull monotony of neutral shades is to consider using Moroccan tiles. Indeed, their exquisite patterns could just be the breath of fresh air your home is dying for! Moroccan Tiles – Liberation from Dishwater Dull Terrain! A blend of cultures that surround Morocco has influenced many of its aspects. Home décor is just one of them. Tiles that originate from this country liven up any household in a jiffy. Their bold colours, rhythmic pattern, and exotic shapes add a quintessential touch of spice. Even though the tiles have a sense of bedlam, the leitmotif of colour makes them unrivalled in panache. They mesh with any theme of design, and that’s why experimenting with them is idyllic for every dwelling. 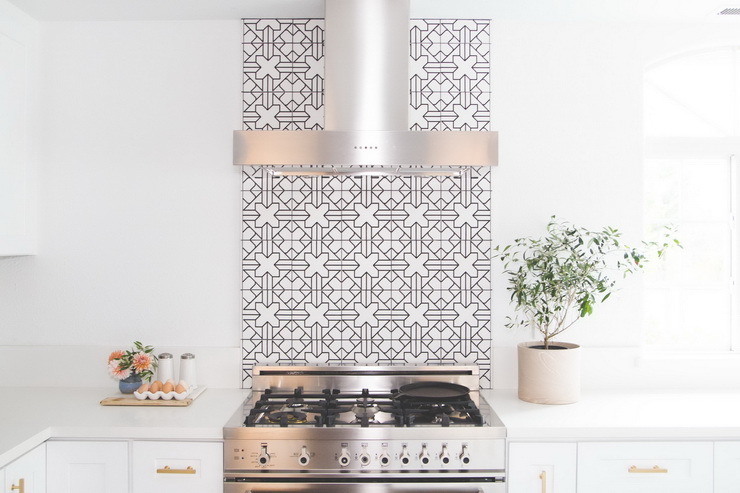 Here are some ways to do up a place with Moroccan tiles! When you want to introduce a pinch of glow to a chamber, Moroccan tiles come to the rescue. The obvious place for tiles in the kitchen is the backsplash. It is the perfect location to bring an appeal of highlighted colour. But the exquisiteness of these ethnic tiles lies in their versatility. In a contemporary kitchen, they can be used on the floor or on the walls to become an instant focal point. The trick is to select a modern shade like a buttercup yellow or azure. Visions of an alfresco dining room inspired by a confluence of cultures come true with Moroccan tiles. Without trying too hard, an open-plan dining room can be delineated from the kitchen using these tiles. Just select a colour that is flexible with the style of the area and get imaginative. A glittering master bathroom with an inbuilt spa - sounds romantic, doesn’t it? While space constraints might not accommodate a spa tub, the feeling of being in one can be brought home using Morocco-inspired tiles. Fashion an under-the-sea sensation with blue-tinged tiles and add in copper fittings and scones for a warm effect. Another idea is to accent an all-white bathroom with cool jewel-hued tiles. Tiles that are inspired by the North African country can be universally used in any portion of a house. But patios are the archetypal place to bring forth the beguiling side to their apparent madness. If space is restricted, utilise petite repeated patterns for a debonair look. Design is an aesthetic play of light, colour, and material. To give a bedroom a whole new look, find the smallest wall in it and fit it with contrasting Moroccan tiles. At the end of the foyer or in any long gallery, an instantaneous way to lend brilliance to an otherwise claustrophobic area is Moroccan tiles. Imagine an all-grey setting or an entirely off-white wall with a compact section of bright tiles. The place gets an impactful improvisation without being forced to cross the line to over-the-top. Design Ideas You Can Experiment With Using Moroccan Tiles! To the generation shaped by the smartphone and concomitant rise of social media, the allure of Moroccan tiles lies in their snap-worthy quality. Edgy, bohemian or art deco, the ceramic building materials can be implemented for an endless list of interior design ideas that keep the finger on the clicker. Small, elaborate patterns with geometric shapes are the hallmark of Moroccan tiles. Narrow strips of them can be installed either horizontally or vertically to the floor or walls to fashion a picturesque ingredient. If intricacy is one side of the story, the other is imposing graphics. Large format Moroccan tiles with varying patterns can be put to open the path to drama and surprise. A complete paint job, a wallpaper overhaul or textured walls are expensive avenues of renovating a house. Plus, they require extensive labour. Instead, opt for installing Moroccan tiles to a minor segment of a wall. Wield myriad colours of the neutral palette like white, grey and blues for a modern effect or go the traditional way with bright hues. The current avatars of Moroccan tiles are slightly higher priced, but they still cost less than a total refit. Tiles that have a Mediterranean influence come in two forms. The first is heavy on pattern and light on the colour and the second reverses the style. The former, a modern version of classic Moroccan tiles, are easy to work with while the latter end up completely stealing the focus, if not employed appropriately. So, be cautious of how to apply the multitudes of bright shades in the correct measure. But believe you us, the extra effort will be worth its weight in gold. When you are repetitively searching for roads that birth an inspiring environment. When you are tired of the same old, jaded paths to décor. When you don’t want to dip-the-toes-in but nosedive into a new trend without upsetting the current style of residence, embrace the mesmerising impact of Moroccan tiles. Looking to get a complete makeover for your home? Get in touch with one of Hipcouch’s experts today! Newer PostThese Flooring Trends For 2019 Will Leave You Positively 'Floored'! Older PostAvoid These Common Mistakes When Getting Your Bathroom Done!